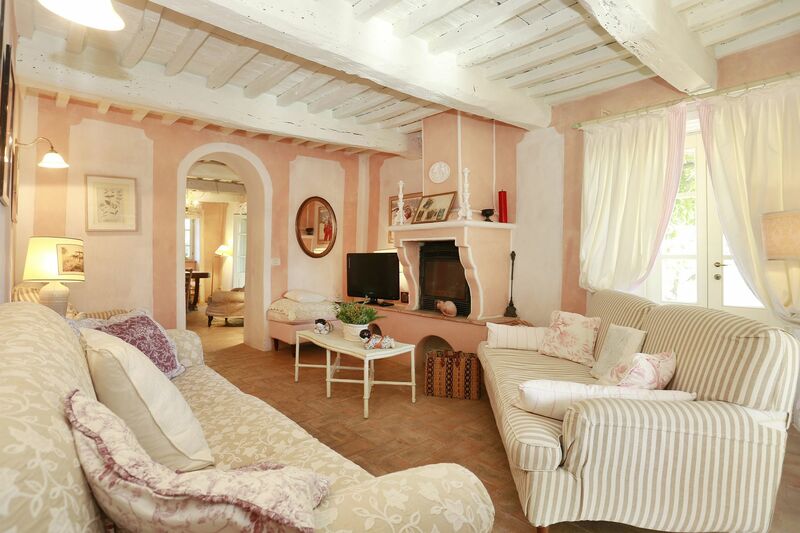 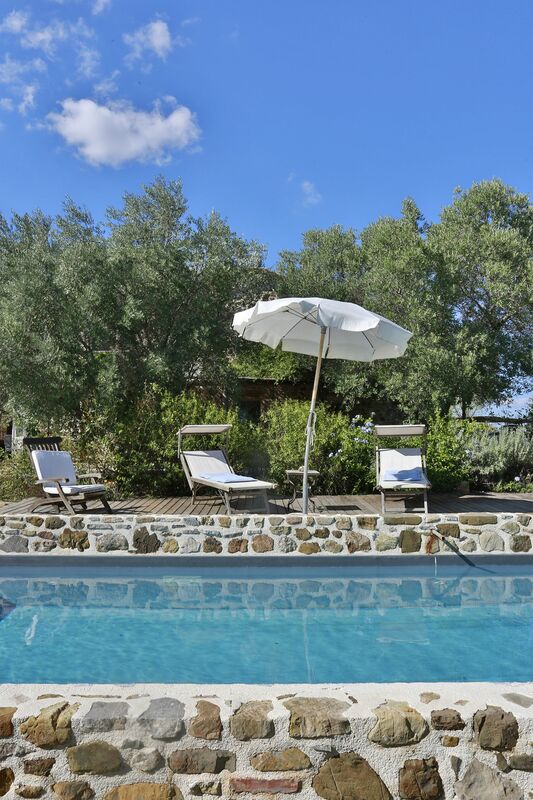 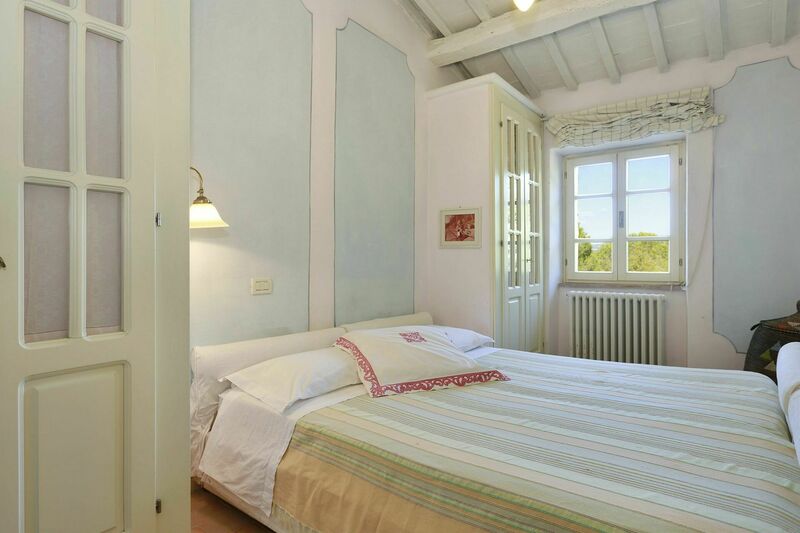 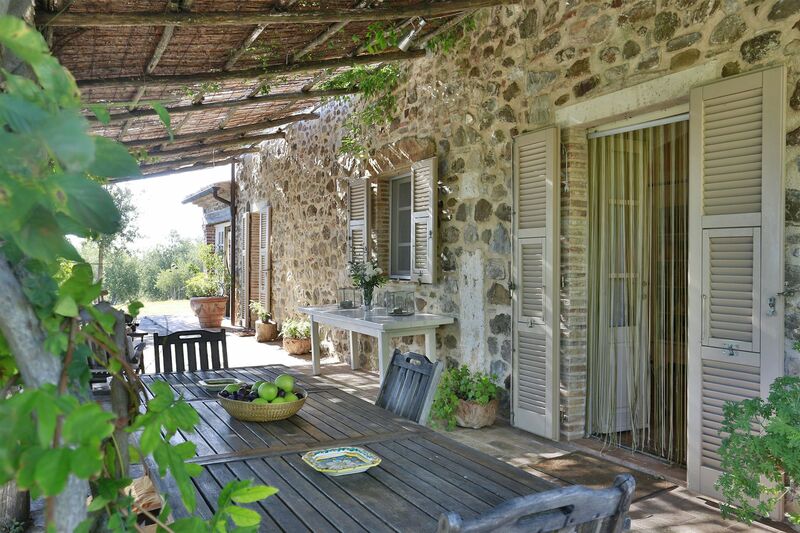 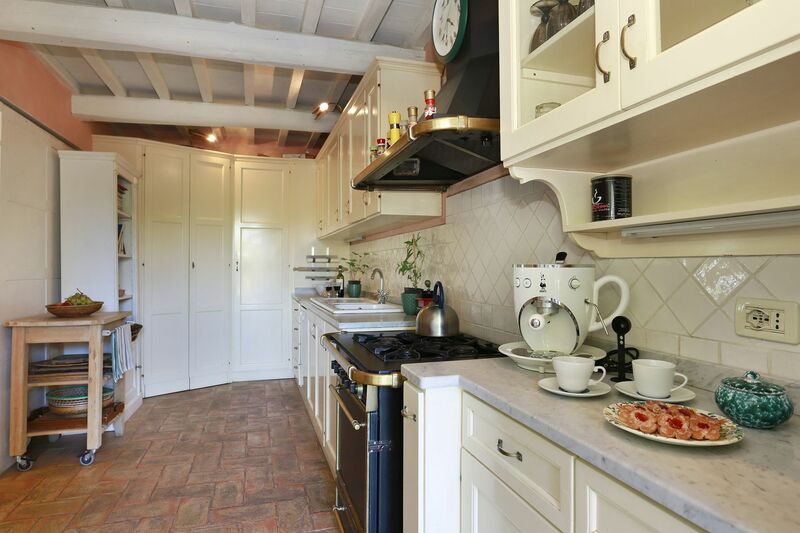 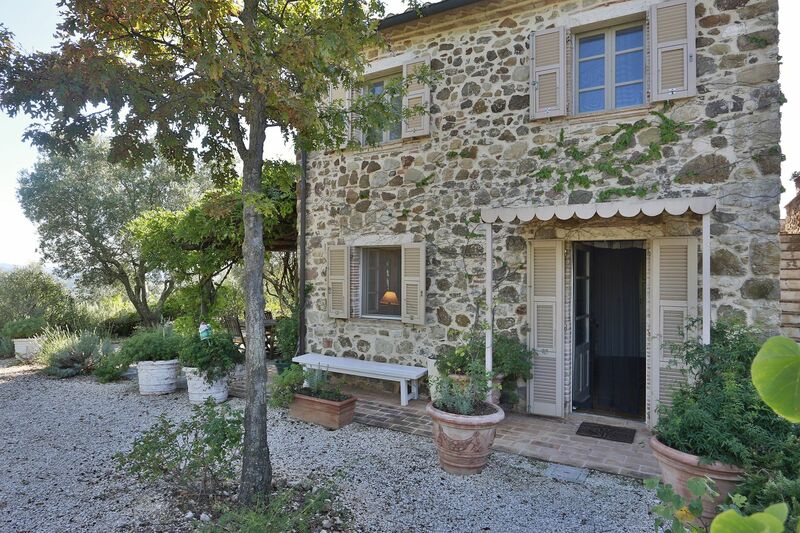 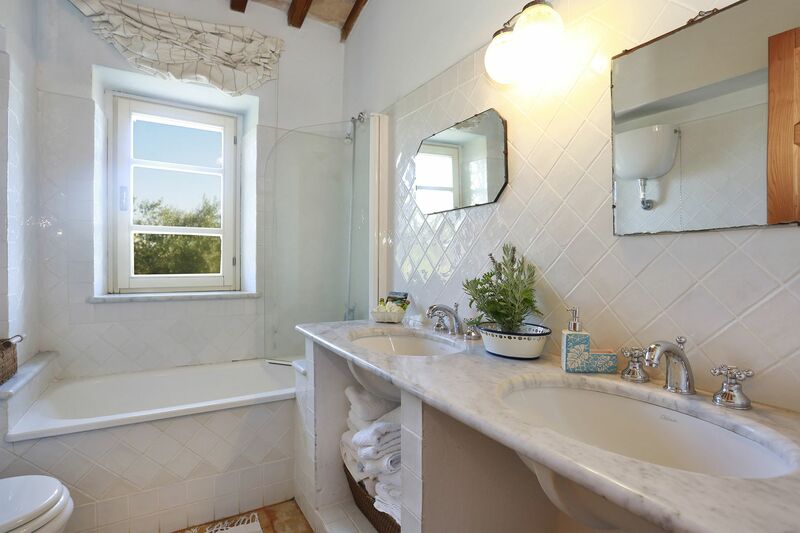 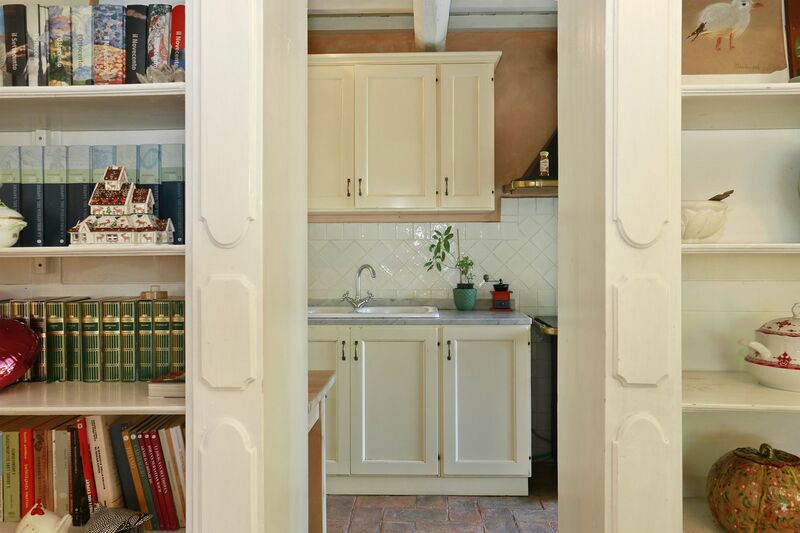 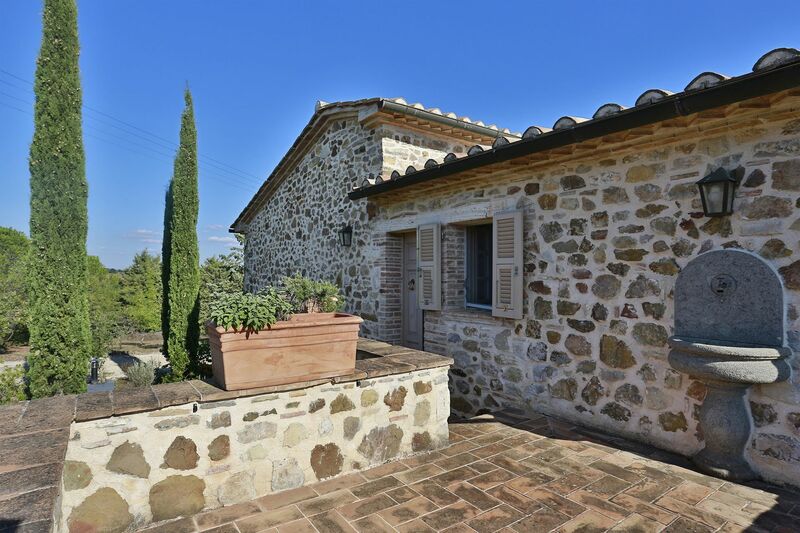 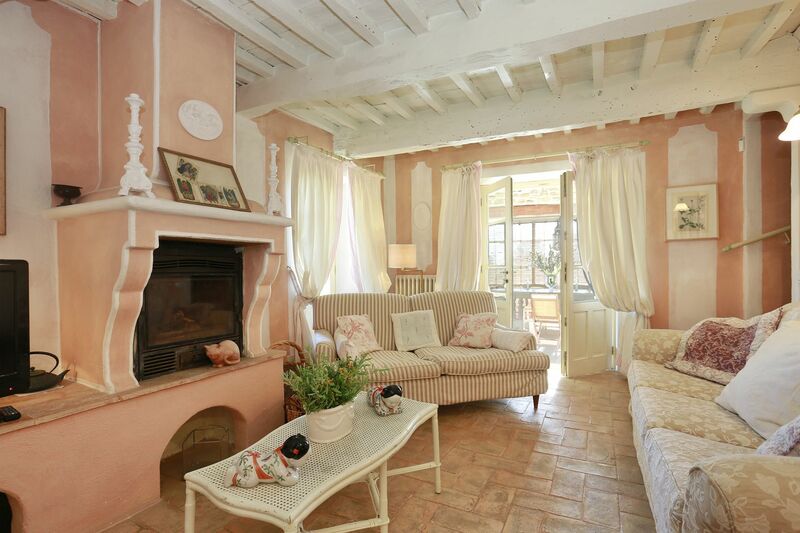 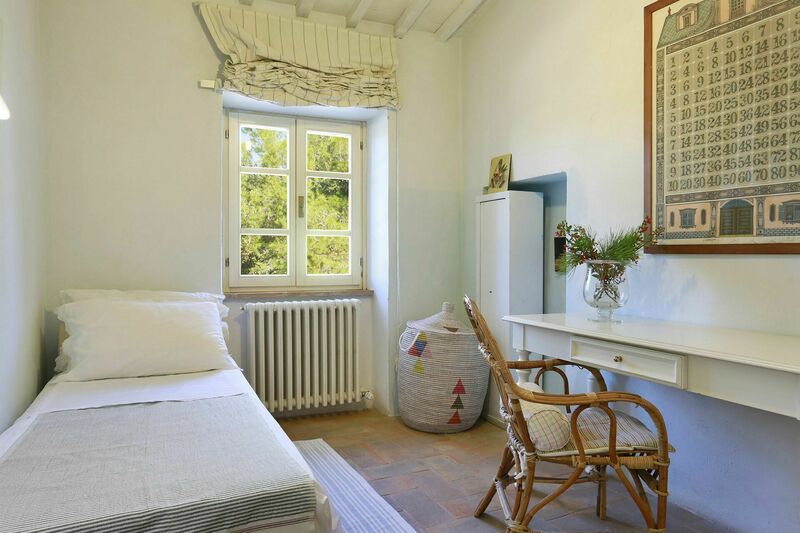 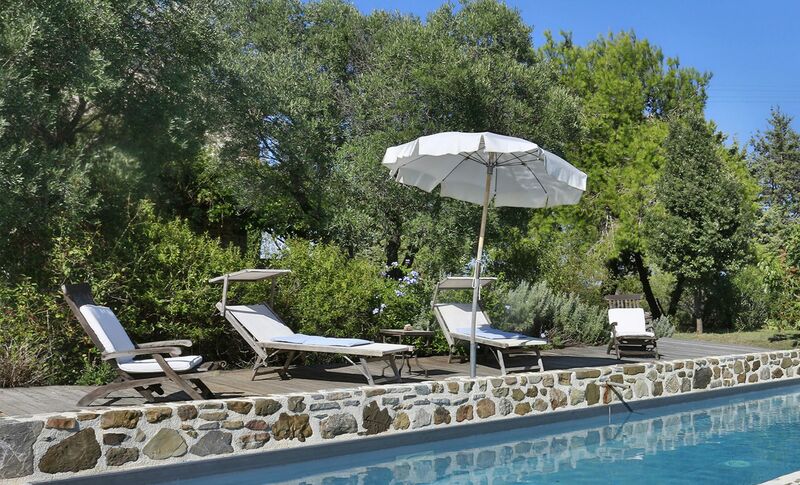 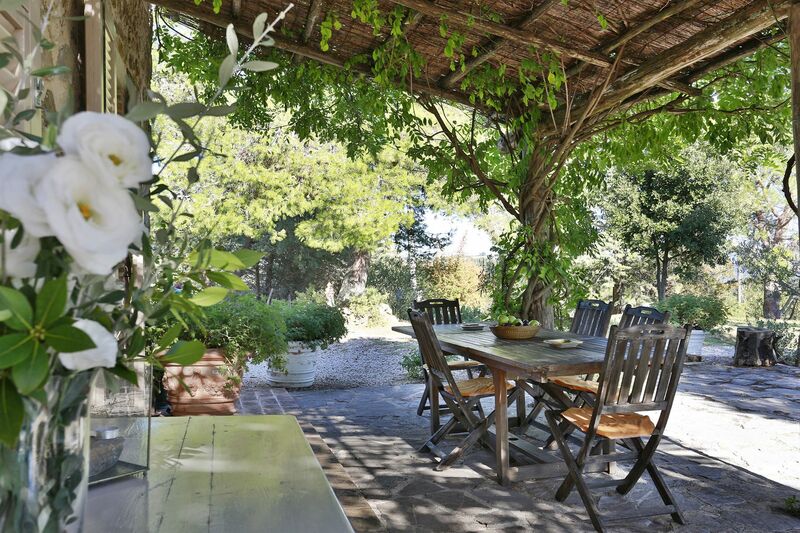 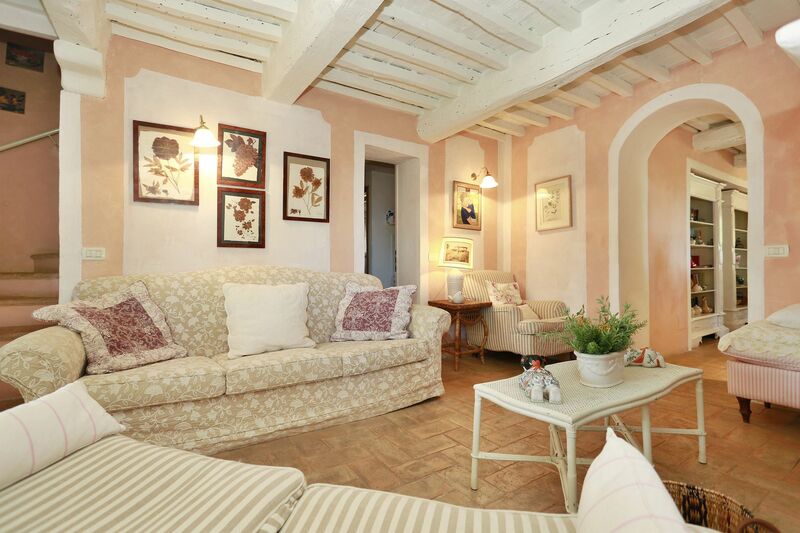 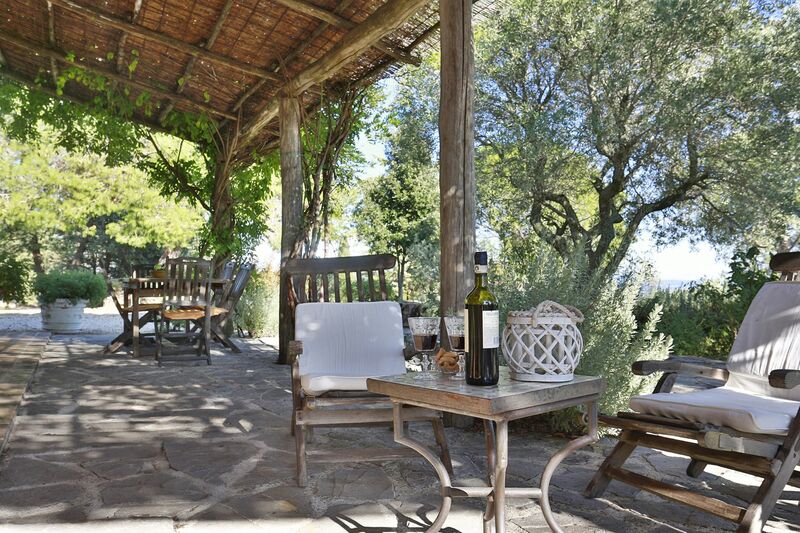 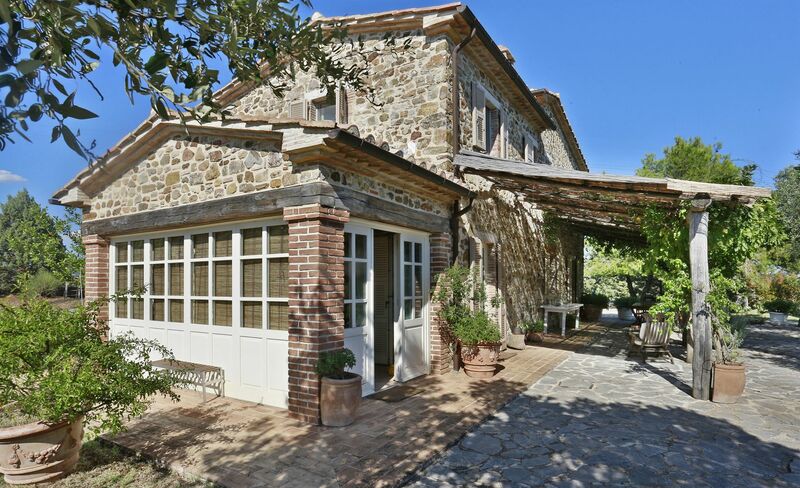 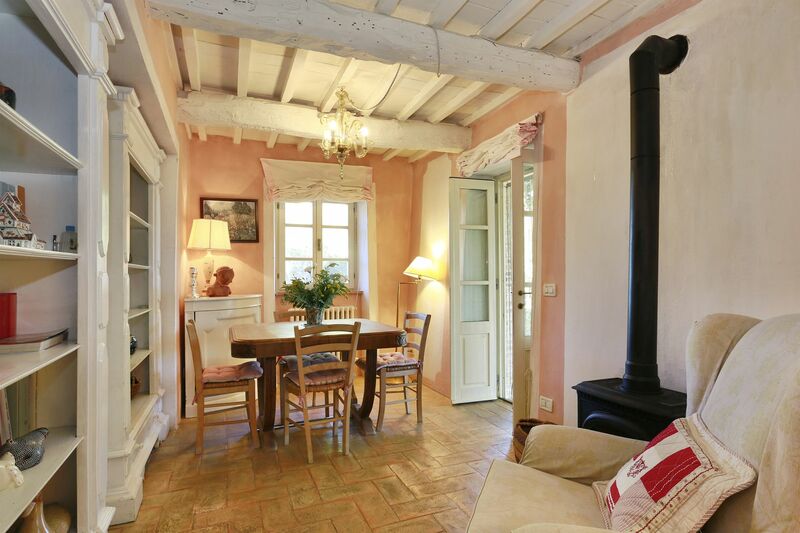 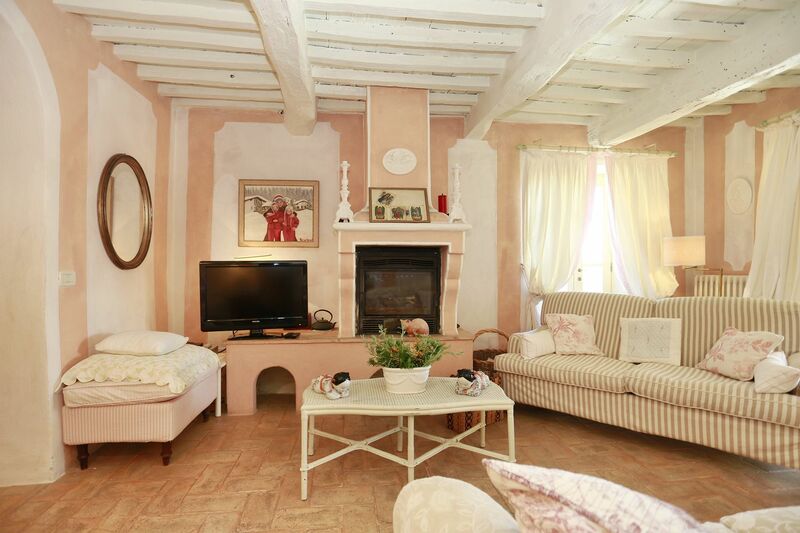 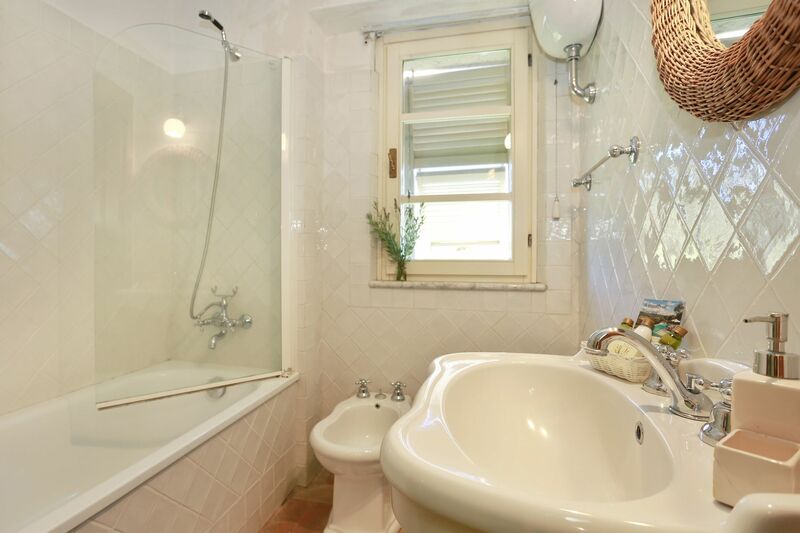 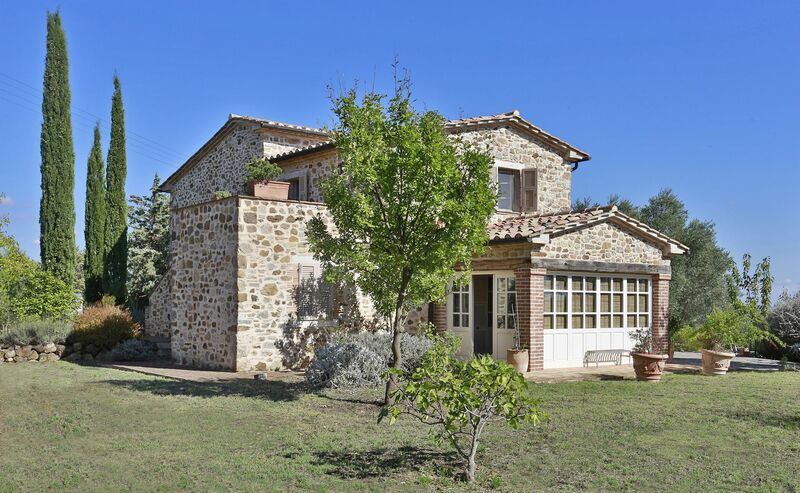 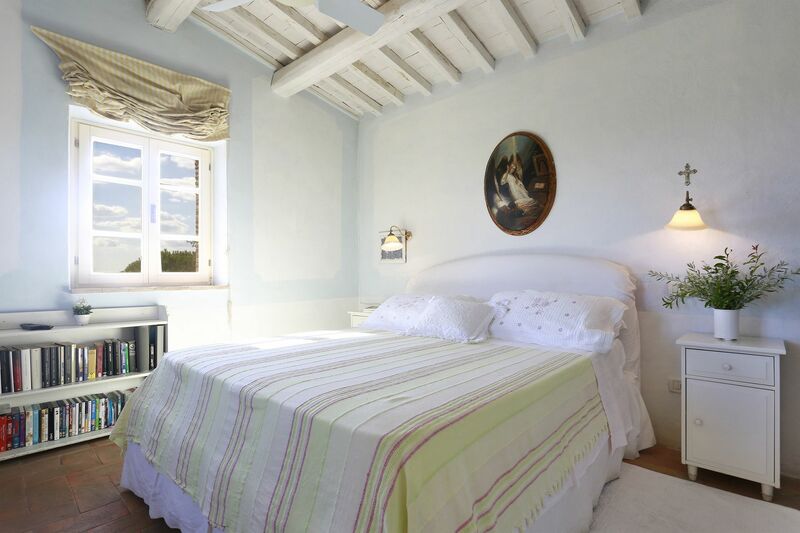 This property is located in the southern region of Tuscany known as "Maremma". 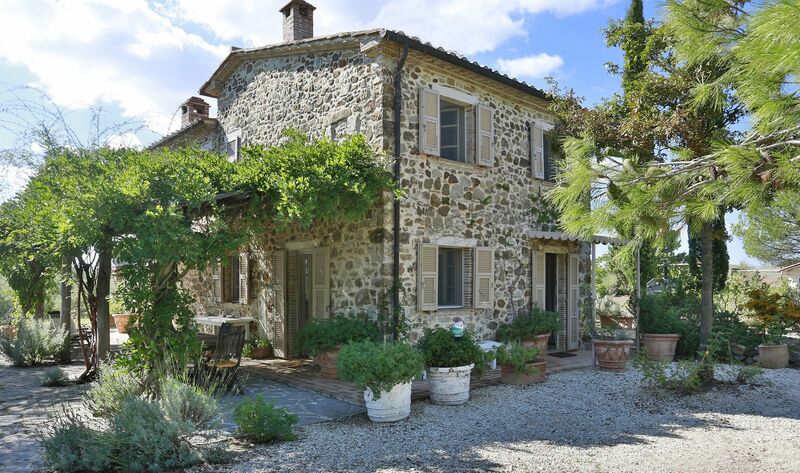 It is a beautiful part of Tuscany, famous for the undiscovered wildernesses, its national parks and for the spectacular Mediterranean coastline with blue-flag beaches stretching for as long as the eye can see. 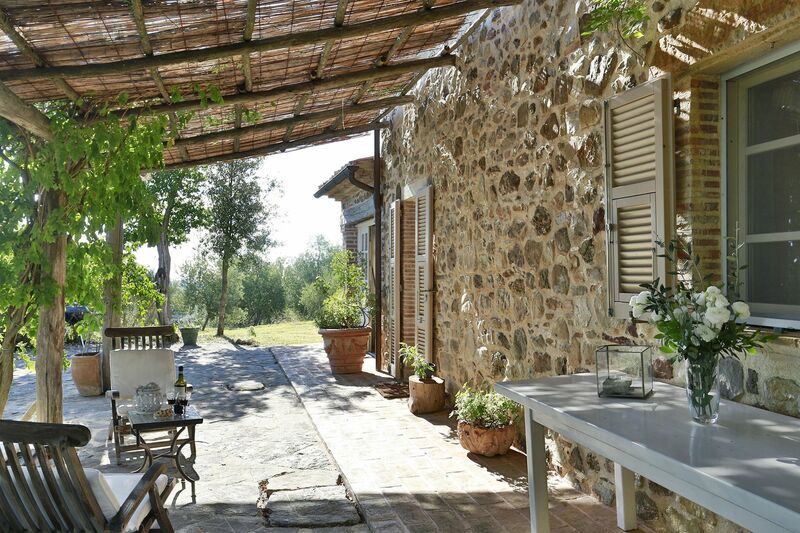 Further to its natural attractions, the area offers great options for those fond of culture and relaxation. 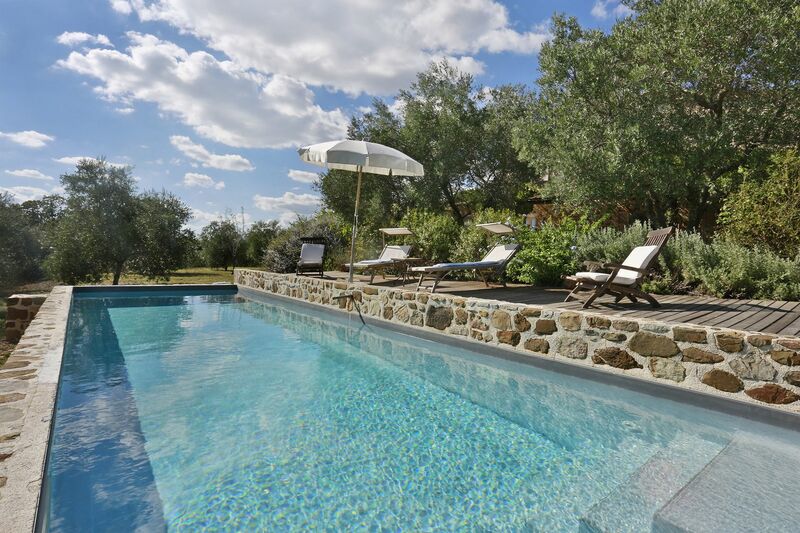 The town of Saturnia, famous for its thermal springs and one of the most beautiful golf courses in Tuscany, is 15 kms away from the property while the Etruscan villages of Pitigliano, Manciano and Montemerano are all within 20 kms. 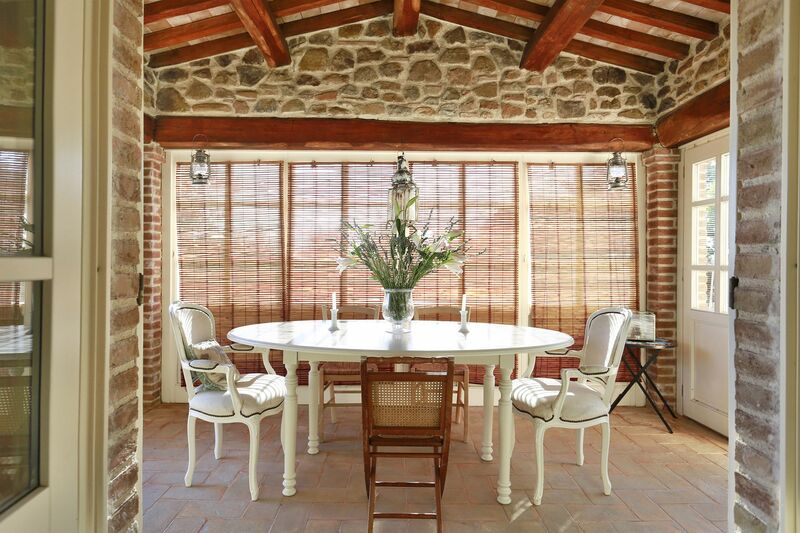 The owners of Monte Cavallo restored the original stone-built farmhouse when they moved to Maremma to start an organic farm - located just 15 minutes away from the property - for the production of natural cosmetics, food supplements and herbal tea cultivating only the Mediterranean flora and autochthon Maremman plants. 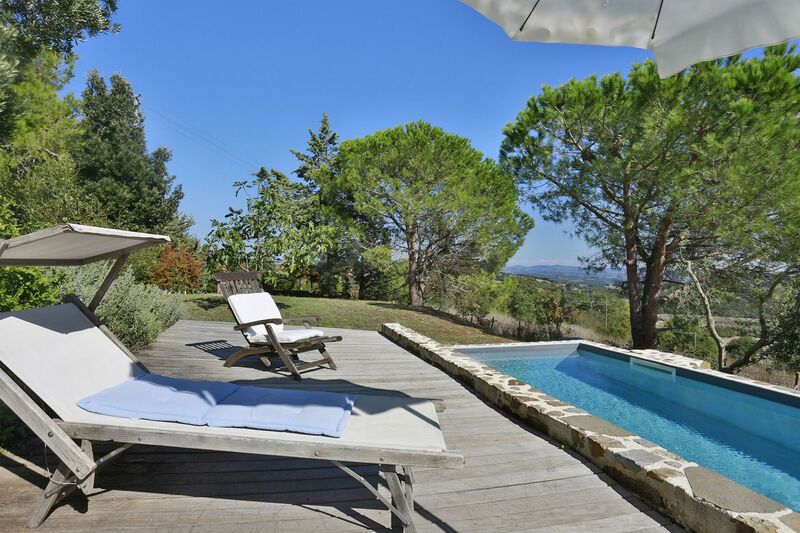 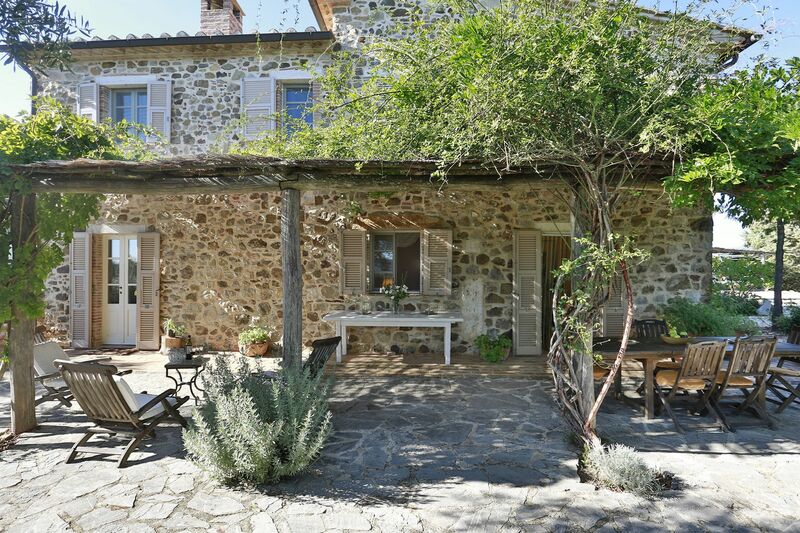 The property, reachable via a 3 km white road, is located in a very secluded position, reflecting the owners' love for nature and offering breathtaking views over the surrounding countryside. 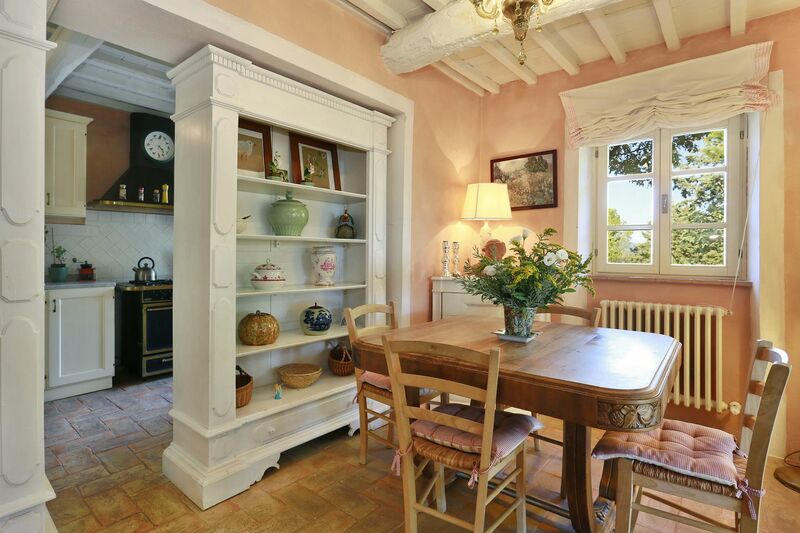 The beauty of the house has previously been captured and published on Ville e Giardini, a renowned Italian Magazine specialized in country houses and villas. 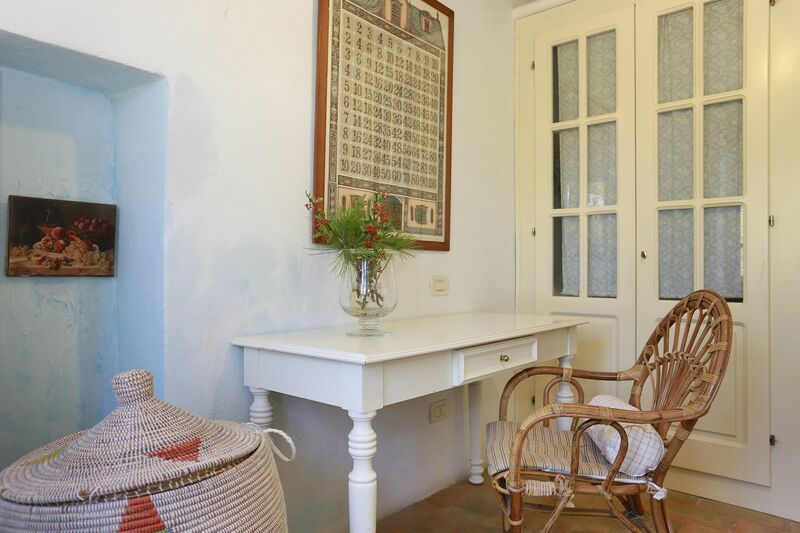 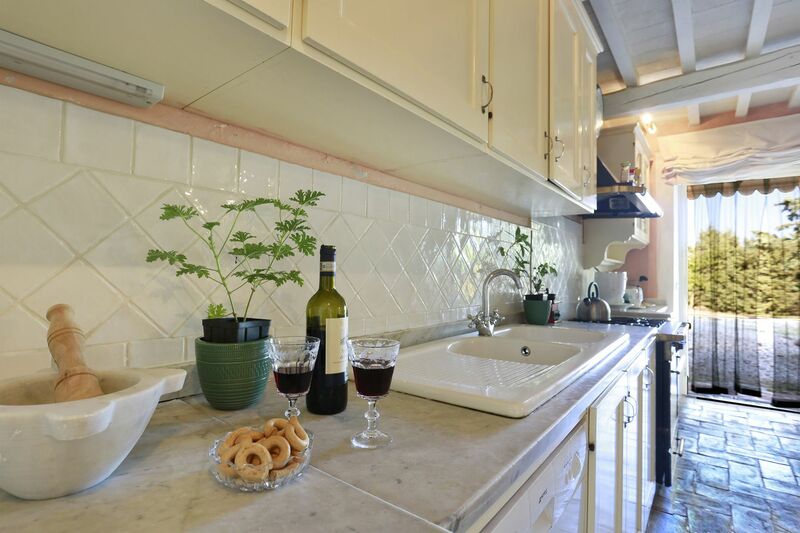 It is furnished in an elegant country style and equipped with all modern comforts, including a high-speed internet connection not easy to find in that area. 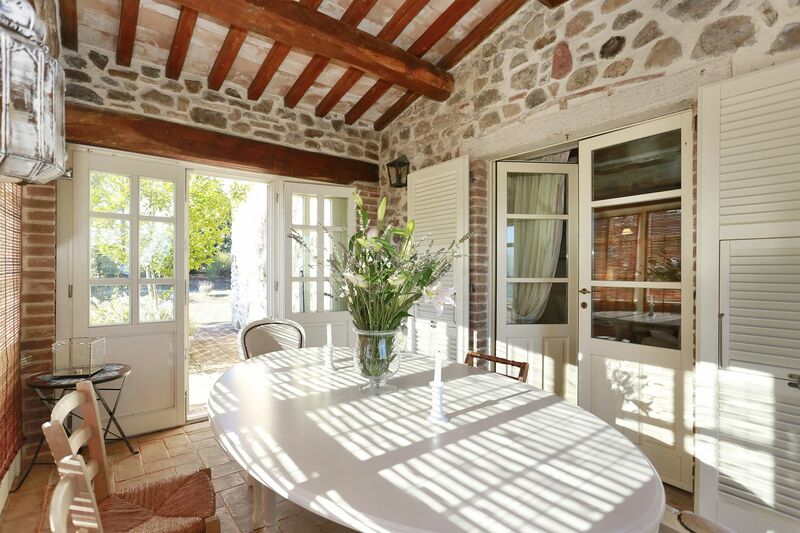 Standout features of the house include the very bright covered veranda, the patio furnished for 'al fresco' dining, and the swimming pool built with the aim of reproducing an old water reservoir. 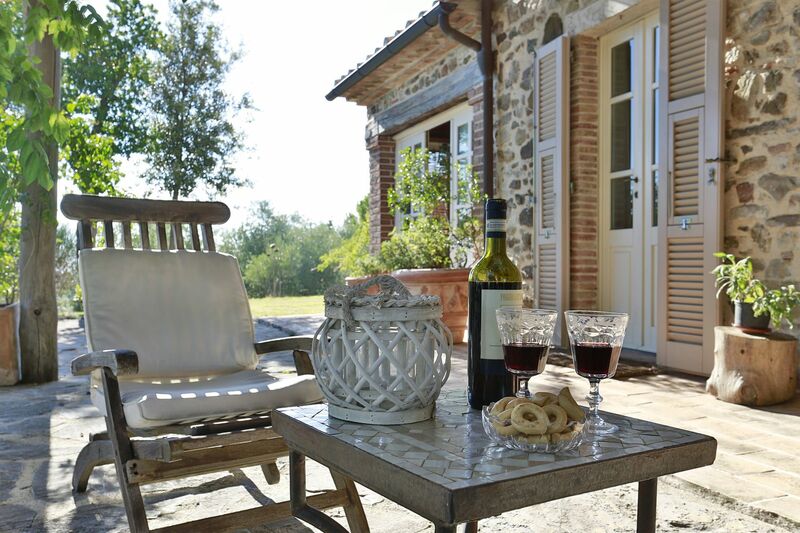 Wine tastings are available in the surroundings. 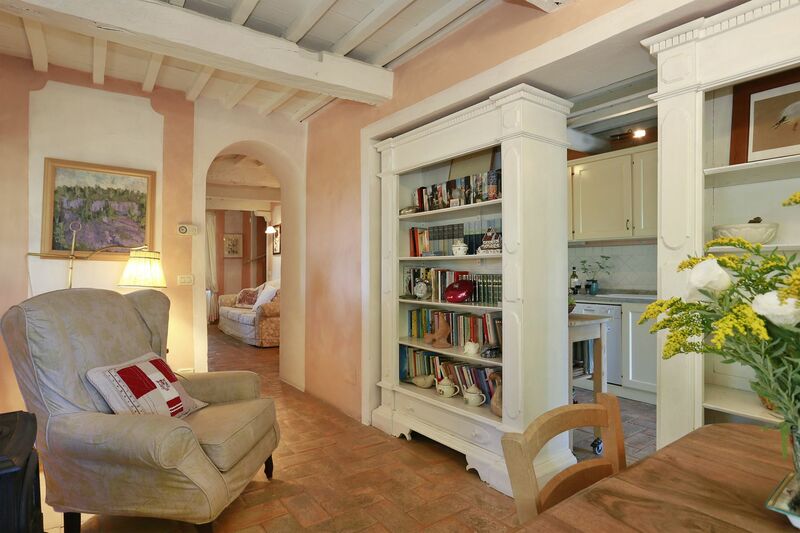 Sitting room; dining room opening onto a pergola furnished for 'al fresco' dining; conservatory; kitchen; laundry room; bathroom (shower). 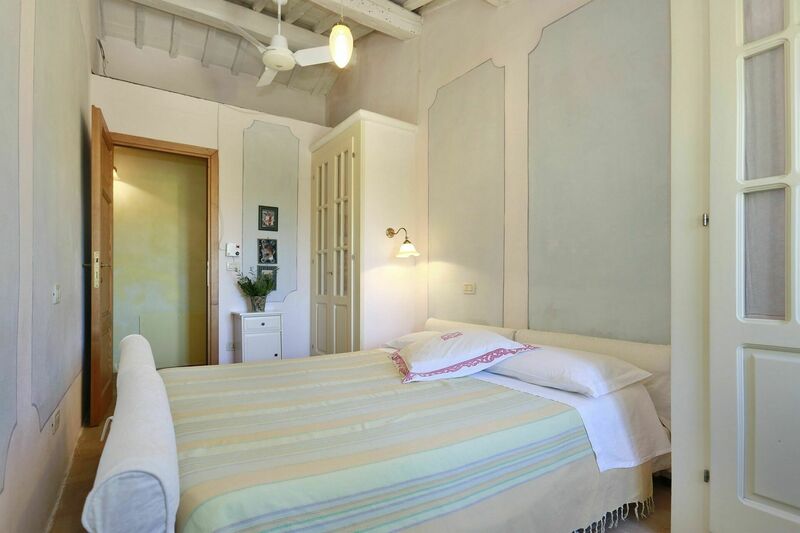 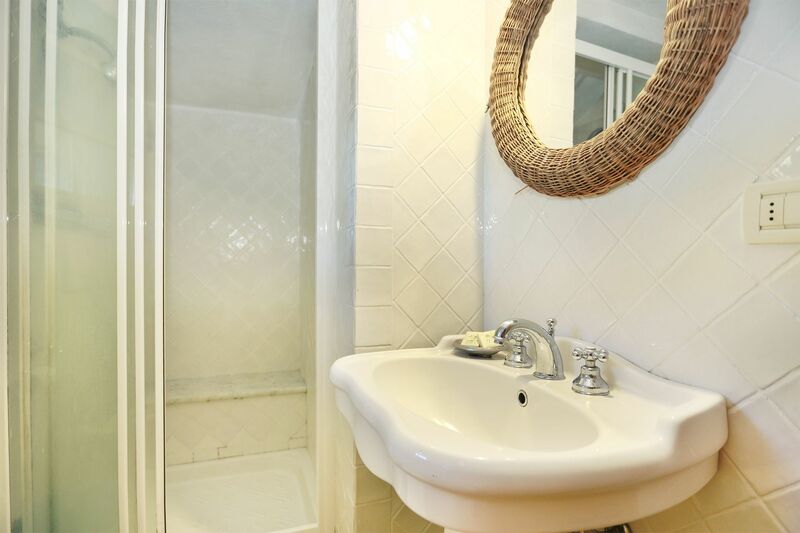 double bedroom with en-suite bathroom (bathtub); twin bedroom and single bedroom sharing a bathroom (bathtub).